ART LABOR is a contemporary art gallery located in the former French Concession area of central Shanghai, the city’s most unique neighborhood. We beautiful gallery space and artistic agency with a very independent and international program, and a real concern for our artists and their work. Our emphasis is on originality and high quality of production in all media, with ethical representation and marketing. We based ourselves in Shanghai because has become the center of artistic creation and financial power in Asia. At ART LABOR we are curious about Shanghai’s new identity and the direction that emerging art is taking in today’s China – and by this we mean in the coming years. Our main objective is to promote the artistic pursuit of answers to what this identity is and what it will become, and we encourage our more established artists to support and mentor emerging artists, just as the gallery itself has a focus on the development of new talent and ideas. Because we have always loved China, we decided to set up our self-funded gallery in Shanghai. 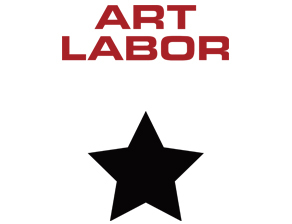 However, at ART LABOR we see our artists first and simply as individuals, free of national brand and what we feel are restrictions inherent in this identification. We intended in the beginning to exhibit original works and bring some fresh air into a climate where typical styles had become a bit overly familiar and obvious to the habituated observer of the Chinese art scene, and ART LABOR played an integral role in the expansion of the Shanghai art scene, which is now, more than 9 years after we began here, decidedly more international in scope. Cooperating with galleries and art professionals from around the world, the artists we show are approximately half Chinese mainland and half of other countries… British, Austrian, Canadian, Japanese, et al. We seek artists making truly original and meaningful work, whether intellectually, emotionally effecting or simply aesthetically pleasing.